$1.99 to $89.99 & FREE Shipping on orders over $59 $35. A very clean aroma hop that produces a mild, floral and spicy aroma. 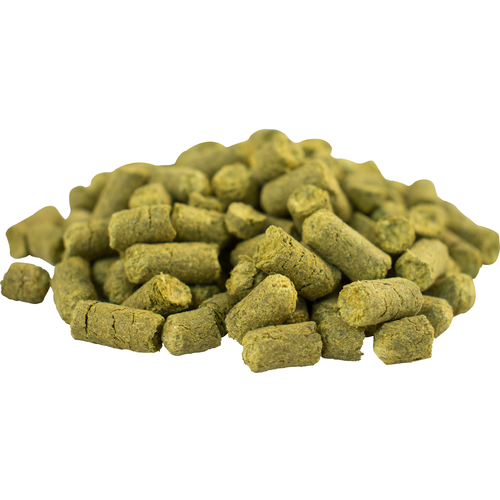 Due to it being mild and clean, this hop variety can be used in a variety of beer styles, including: Lagers, Kolsch, ESB, Pilsners, Pale Ales, IPAs, and Belgian Ales. Solid choice for my blond ale, go-to for a wide range of other beers. Nice mild hop for non-hopheads like me. Hops added an nice aroma to the brew. Taste is yet to come as it is still in the fermentor. But it smells wonderful. Love this hop. Great aroma! This hop met the expectation of cinnamon, black pepper and nutmeg. Yum. used in my apple ale with golden promise grain and flavor/aroma was excellent.